Preheat the oven, air at 170°C. Turn a muffin/cupcake tray up side down and cover it in aluminium foil. 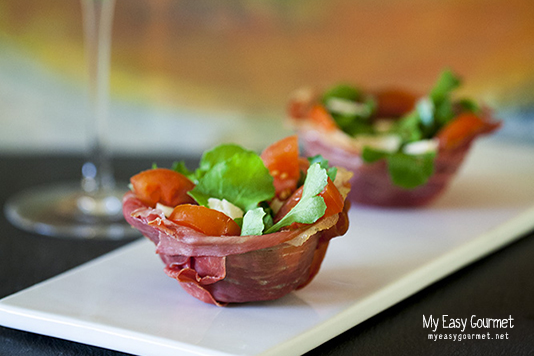 Wrap around each cup 2 slices of prosciutto. I always remove the fat from the prosciutto slices. Place the tray in the oven and let it bake for around 17 minutes. Cut the cherry tomatoes into slices and the parmesan into flakes. Carefully remove the cups from the tray. 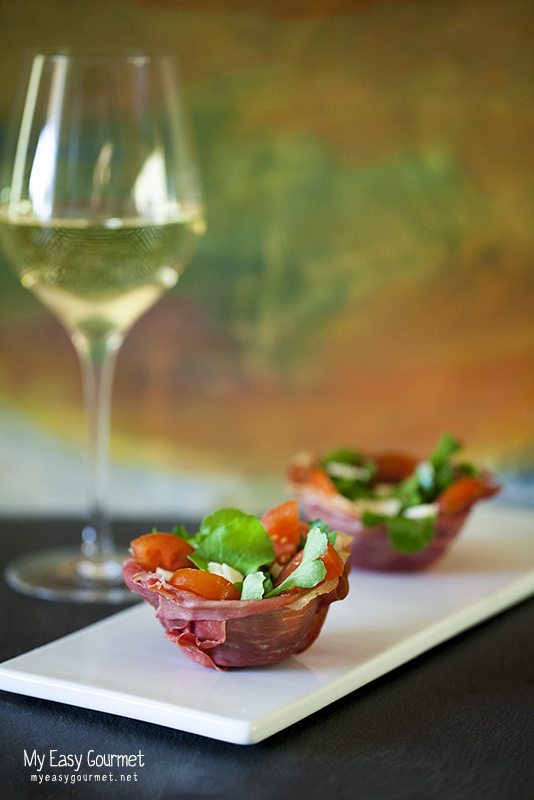 Fill up the cups with the rocket leaves, tomato and parmesan. Garnish with some pine nuts, pepper and olive oil. Baked prosciutto becomes saltier, so, no extra salt is needed. They look beautiful, and soooo yummy! I love these! Think I’ll make them for New Year’s!